Since 1994, Inspiris has been providing technology solutions for businesses and government departments of all sizes looking to simplify and improve their overall operations. During that time we have always prioritized building relationships with people, as we truly believe it is about people first, and then the technical solutions to help make their job easier. 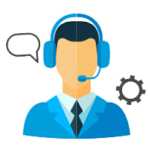 Our technology experts strive to understand your organization’s needs now and in the future, and come up with customized solutions that work for you. As part of that dedication to our clients, we provide only the best in Managed IT and content management services. Our Managed IT and content management products have been tried and tested over the years, and our dynamic approach means we’re always using the latest technology. Learn more about our products by visiting our products pages below, or check out some recent Testimonials from our clients. If you have any questions about our services or want to have a free complimentary consultation, Contact Us! 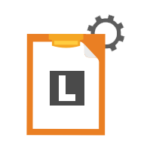 Laserfiche is the leading Enterprise Content Management software today, allowing companies and organizations of all sizes to easily and efficiently store, organize, manage and share any or all content and documents in your organization. It even integrates with any of your current software! Learn more. Inspiris is a proud provider of Microsoft, Azure and Laserfiche – the latest and most trusted cloud solutions available today. Learn more. Inspiris FieldTrip Pro takes the pain out of field trip planning. Made with teachers, parents and administrators in mind, FieldTrip Pro provides one secure place to plan, manage and document all your field trips. Learn more.